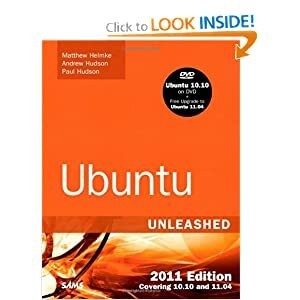 I am the sole editor and contributor of new content for the just-released Ubuntu Unleashed 2011 Edition. This book is intended for intermediate to advanced users. Thanks for the announcement. Just placed an order from Amazon. Have always enjoyed it! Kudos for the great idea of specifically mentioning the free 11.04 upgrade kit when the newer version comes out. BTW, should it be OpenOffice.org 3.3 and not 3.1?